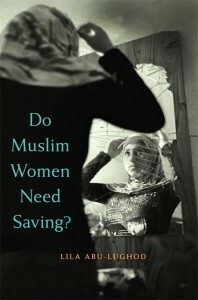 The journal Ethnicities recently ran a review symposium of Do Muslim Women Need Saving?—the book by Lila Abu-Lughod, Professor of Social Science at Columbia University and Project Director of CSSD’s working group on Gender, Religion and Law in Muslim Societies. Maleiha Malik, Kings College, University of London, wrote that “Abu-Lughod’s analysis is important because she relates her analysis to the wider institutional framework of international feminism, human rights and NGOs that produce institutions for ‘saving Muslim women’.” In doing so, the book also “moves academic and public debates beyond de-construction towards a normative constructive analysis of the category ‘Muslim women,’” according to Malik. Read the full review here and purchase the book here.